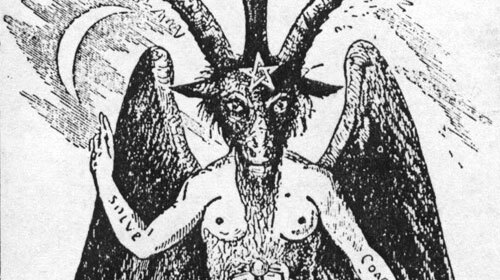 The story of the Devil Goat was initially told by a young man called Damon Rudge who was reciting a ghostly experience his grandfather had had many years ago. This experience was one that his grandfather never forgot and one that still chills Damn to this very day. Damon’s grandfather, a man by the name of Cyril Barry was back in his home county of England after fighting in Holland, North Africa and Italy during World War 2. It was the year 1948 and Cyril had been out for the evening with some friends in Legion Club in Somerset, England. Now, Cyril admitted that he had had a couple of drinks throughout the night by was by no means drunk. After having a great night out with his friends Cyril left the Legion Club and began his walk home, luckily he only lived 15 minutes away so the lack of street lighting wouldn’t be too much of a problem as he knew the area very well, it was around 11:30pm. Being 1948 Cyril explains that most people were usually in bed for 11pm due to lack of house lights and of course no television. It was a dismal night, cloudy and it had been raining earlier in the day. Due to the lack of streetlights and lack of moonlight thanks to the poor weather Cyril was having trouble trying to roll up a cigarette for his walk home as he couldn’t wait until he got home to have a smoke because his wife didn’t approve. Luckily as he was about half way home Cyril spotted a house with a ground floor light turned on which was great as it would give Cyril ample light to roll his cigarette. Cyril approached the house and stood next to the window – not in front of the window because he didn’t want to alarm anyone in the house so he just rested his back against the wall as he rolled his cigarette. As Cyril finished rolling and lit up his cigarette he decided to have a glance through the window just out of curiosity – Cyril immediately wished he hadn’t. What Cyril saw he could never explain and he had certainly seen his fair share of shocking sights in the army. The room was a deep crimson color and in the center of the room was a large wooden table. There was one person in the room and the person was directly facing Cyril.. except this was no ordinary person. What Cyril described he saw was a man with the head of a goat. 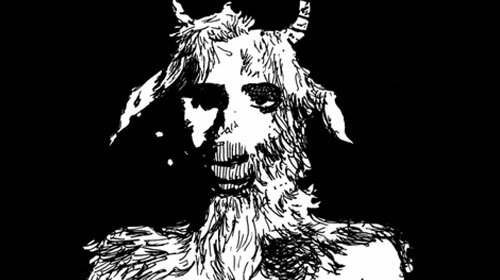 The fur of the goats face was white with a long white beard and the goats dark eyes stared back at Cyril, however the ‘devil’ as Cyril calls it did not move. Cyril backed away and made his way home in a state of shock. The next day Cyril went back to the house to try to shed some light on what he had seen but all he found was a deserted house that seemed to have been empty for some time. The walls were painted a deep crimson however the paint looked old and was chipped and the large wooden table was covered with a dust sheet that was in turn covered in dust. Cyril never did shed any light on what he had seen, he believed it may have been a devil worshiper or even some kind of devil itself, he took no chances after this and completely avoided the house until a new family moved in sometime later. Could this be some kind of ghost or devil? many reports describe hoof markings like that of a goat. 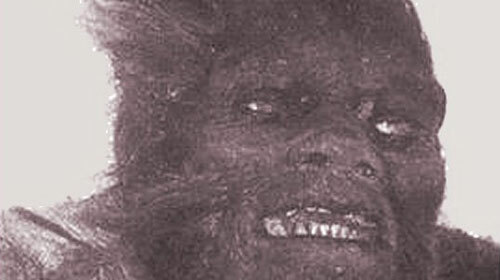 Is there a possibility that this could be some kind of unexplained creature like a fawn or the Jersey Devil? What do you think? Not so hard to explain. A goat just got into the house and stood with their front legs, over the table, and frozen after seeing Cyril, or just a thief in a mask or something like that. It didnt move so it may have been some kind of prop for a ritual or maybe it was a man in costume for a ritual but the latter is unlikely because a person wouldnt want to be seen. It’s frankly something strange that will go unexplained forever.